Day One; Transfer to the Island. Day Two; Boat ride and Forest walk. In the morning after breakfast you will go for a forest walk and then return to the lodge for Lunch. 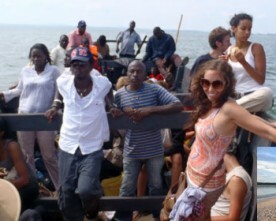 Later in the afternoon, you will go for a boat ride to visit the other small island which is apart of Ssesse Islands. After the boat ride you can engage in any sport of your interest. Dinner and overnight at Mirembe resort. Spend the whole day on the island relaxing at the beach. Dinner and overnight at Mirembe resort. Day Four; Transfer to Kampala. Wake up very early in the morning to have breakfast and catch the ferry back to the main land. The ferry takes off at exactly 8:00 am. It will take you to Nakiwoogo where you will be picked up by our representative to transfer you to your proposed accommodation (Place of stay).